There is plenty of history around ‘Clos du Tue-Boeuf, you can trace winemaking here back to the middle ages. This place used to be a place of sacrifice, hence the name. Since the 15th century this 6 hectares ‘Clos’ has been in the hands of the Puzelat family. Thierry and Jean-Marie Puzelat took over fully from their father when he was old enough to let it go in 1994. Before the 70:s the family tradition was to farm vines, asparagus and cereals. The wines were sold into bulk. Thierry and Jean-Maries father changed this by starting to focus on the wine and to bottle at the domain. 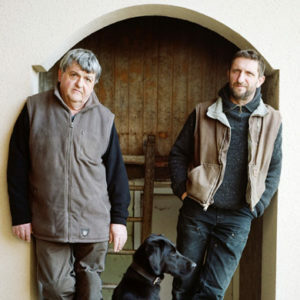 As soon as Thierry and Jean-Marie took over they started to make wines in a natural way. The vineyards were converted to organic farming in 1996. 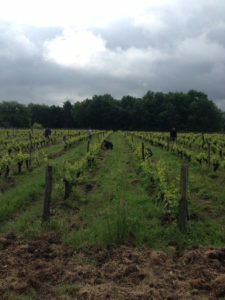 Today they make 13 different wines from 4 hectares in Cheverny and 4 hectares in Touraine. Before Jean Marie started to work with his father in 1990, he’d spent some years of work in champagne. Jean Marie is the older and appears to be the calmer one of these two brothers, the one who prefers to stay at home, working at the domain. Thierry, is a bit of a famous guy for many things. But in particular that he, when he was working for Chateau Saint Anne in Bandol in 1993, was one of the founders of the L’Association des Vins Naturels – one of the first movements for the ‘natural revolution’. He has inspired a lot of people and helped them start working with a natural approach. Before he jumped on the family business he also worked in Saint-Émilion and Montreal for a while. Besides this, 12 years ago Thierry created the domaine Puzelat-Bonhomme together with Pierre-O Bonhomme. But since 2014 he has left Pierre-O to take care of it himself, he felt he had a little bit too much to handle with 2 domaines. With that said, he’s right now also planting his first vineyards in Georgia, is partner in 2 wine bars in Orléans, teaches at winemaking school, travels around the world to show the wines and also manages to do a little bit of partying every now and then. 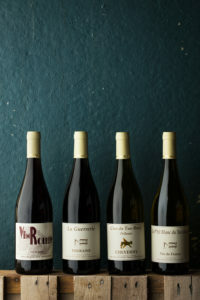 Even though he’s one of the guys that’s been driving the natural wine movement as a force from another world, he renounces the defects that can occur in natural wines. He rather adds a tiny bit of sulfur before bottling to avoid glitches that enable the wines to show their true terroir. The reds are elegant, aromatic, fruit driven and mineral with a very fine tannic structure. The whites are pure, fruity, and elegant with a nice fresh acidity that carries a mineral finish. Age of Vines: 4-20 years old. Vinification: Direct press and then fermented and aged 5 months in tanks before bottling. Vinification: Direct press, then fermented and aged 7 months in old barriques before bottling. Soil: Chalk, Flint, Quartz, Silex and limestone from the usual Romorantin, Brin du Chevre and Frileuse vineyards, which was so badly hit by frost this year so they had to blend them to be able to fill up 1 barrel. Age of Vines: 10-80 years old. Vinification: Direct press and then decanting the must for 1 day. Fermented and aged 8 months in one 600 liter old barrel before bottling. Soil: Clay, limestone and silex from the 3,8 hectares Frileuse vineyard. Age of Vines: 5-48 years old. Vinification: Direct press, then the must is decanted for one day. Fermented and aged 8 months in 500 liter old barrels before bottling. Vinification: Direct press for 75% of the grapes, the rest is left with the skins. Fermentation and ageing takes place in the 400 liter qvevri that is buried in the ground for natural temperature control. 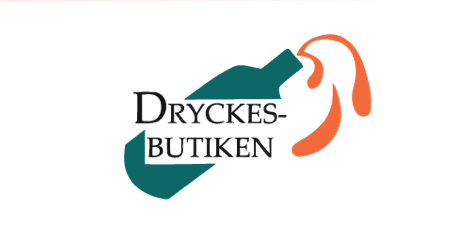 After 8 months the pressing takes place and then the wine is bottled. Soil: Kimmeridgian limestone, from Mathieu Costes vineyard in Côteaux du Giennois, just outside Sancerre. Vinification: 50% whole bunches and 50% detsemmed grapes ferments with the skins for 2,5 weeks in open vats. After pressing all the wine where put in old 500 liter barrels and Thierry drove it over to his place for 16 months of ageing. Age of Vines: 10-20 years old. Vinification: Whole bunch fermentation that starts with macération carbonique for a week and goes on for another 7 days in an open vat. Very careful pigeage for the last week, then pressed and aged for 6 months in old demi-muid. This vintage, like the year before, the Puzelat brothers bought Gamay from their dear friend Remi Dufaitre to be able to produce a bit more than what nature left them with. Delicious blend! Soil: Clay, limestone and Silex on top of Blois Chalk. Age of Vines: 20 years old. Vinification: Whole bunch fermentation that starts with maceration carbonique for a few days and goes on for another 7 days in an open vat. Very careful pigeage during the last week, then pressed and aged for 5 months in old demi-muid. Age of Vines: 37-42 years old. Vinification: Whole bunch fermentation for 2 weeks in open vats, very careful pigeage by hand during the maceration. Then pressed and aged for 7 months in old barriques and 400 l barrels before blending and bottling. Soil: Clay, limestone and silex. Age of Vines: 35 years old. Vinification: Whole bunch fermentation for 2 weeks in open vats, very careful pigeage by hand during the maceration. Then pressed and aged for 10 months in old barriques and 400 liter barrels before blending and bottling. Vinification: Whole bunch fermentation for 2 weeks in open vats, very careful pigeage by hand during the maceration. Pressed and aged for 10 months in old barriques and demi-muid before blending and bottling.